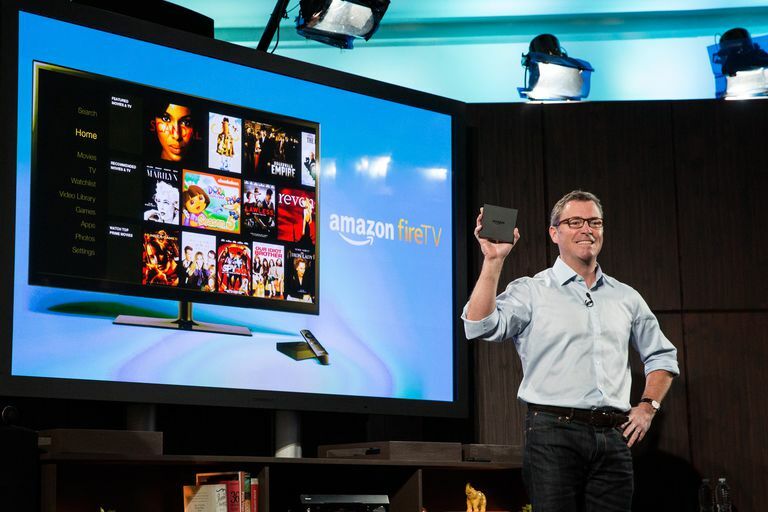 The Amazon Fire TV is filled with apps, videos, and even games. That’s right, even a Fire Stick with its limited 6GB storage can function as a video game console. Most Android games available on Amazon can be played on Fire TV. You can even sideload emulators for classic video game consoles up through the 16-bit era (SNES and Sega Genesis). Before we get into the best games, here’s a quick tutorial on how to connect a game controller, which is necessary to play many of the best Fire TV games. While you can play some games using the Fire TV controller, it supports PlayStation and Xbox game controllers. It also supports many third-party console and PC gaming controllers (Nvidia Shield controllers currently do not work, however). Even Wii controllers can be used on Fire TV with a USB dongle. To connect a wired controller: Simply plug the controller into the USB port on the back of your Fire TV box. Go to Settings > Controllers and Bluetooth Devices > Game Controllers. Put your controller in pairing mode, and your Fire TV will find it. Pairing mode will vary based on the model of the controller, so check the manual. Now it’s time to check out the best Amazon Fire games to play. Plays the entire Super Nintendo catalog, if you have the game ROMs. Runs a little slow sometimes. Video quality isn't identical to the original system. You can play SNES games on your Fire TV. In fact, it’s the best gaming emulator available. Note that it’s only legal to play ROMs in which you legally own the physical copy of the game. Here’s how to do it. Install SNES9x on your Android phone or tablet. Install AGK Fire on your Android phone or tablet. Open AGK Fire, enter your Firestick’s IP address (from Settings > Device > About > Network). Tap SNES9x from app list. On Fire TV, go to Settings > Applications > Manage Downloaded Applications > SNES9x > Open. Connect FireTV to your PC through ADB. Create a folder on your desktop named SNES-ROMS and place any ROMs you want to play in it. Type "adb shell “mkdir /sdcard/ROMS-SNES" to create the ROM folder on Fire TV. Type "adb push SNES-ROMS /sdcard/ROMS-SNES/" to copy ROMs from PC to Fire TV. Open SNES9x from your Apps list on Fire TV and select ROMs to play. Exhilarating, fast paced platforming action. Branching paths provide plenty of replay value. Time travel mechanic takes time to figure out. The soundtrack's tone isn't consistent with other Sonic titles. Originally released for Sega CD, Sonic CD on Fire TV is a true port in 16:9 widescreen with both the US and Japanese soundtracks. Team up with Tails and race through Never Like (and time itself) to collect rings and harness the power of Little Planet to collect Time Stones and stop Dr. Eggman. An epic story about love, war, and friendship. Each character has a unique personality and skill set. Requires a lot of level grinding to complete. Old-school active-time battle system isn't for everyone. Originally released on SNES, Final Fantasy VI on Fire TV ports the original Square RPG game in all its glory. There are 14 playable characters, including Terra, Locke, Celes, and Edgar. Level up your party to recruit Espers and rebel against the Empire using a mix of magic and technology to save the World of Balance. Easy for new gamers to pick up and play. Vibrant level designs and character animations. Playing with the Alexa remote can be tedious. Easy to accidentally make in-app purchases. Stunt Extreme is an original mobile game developed by Rendered Ideas for iOS and Android in 2015. Race your BMX bike against AI opponents while performing zany stunts to boost points. Both Career and Survival mode are available, and you can connect to Facebook to compete against your friends’ scores. Captures the addictive gameplay of the original arcade version. Includes extra levels and modes from the Dreamcast version. Crazy Taxi was originally an Arcade game published by Sega, although this version is ported from the Dreamcast version. Barrel through city traffic and drive like a maniac to collect fares and earn points in 3-, 5-, or 10-minute matches. This is a great game to live out your craziest Uber/Lyft dreams while rocking out . Dozens of unlockable competitors, equipment, and lanes. If you're not a fan of bowling, this game won't convert you. No online or local multiplayer modes. Concrete Software teamed with the PBA to recreate 21 of the league’s best bowlers, hundreds of balls (each with unique stats), real tournaments, and more. Compete against bowling legends like Walter Ray Williams, Jr. and Mike Fagan using unique power-ups like Bomb Balls and Split Balls for an entertaining sports game experience on Fire TV. Filled with classic Disney charm. May be too difficult for some players. Controls aren't as tight as the Genesis version. When the evil witch Mizrabel kidnaps Minnie, Mickey Mouse journeys into the Castle of Illusion to rescue her. Disney’s classic Sega Genesis game plays great on Fire TV, complete with all five magical worlds, customizable costumes, and hidden challenges to keep you playing for hours. Easy for anyone to play. There are thousands of other ways to play Tetris. Free trial ends after 10 rows. Tetris is an addictive puzzle game first released in 1984. It has since appeared on nearly every gaming platform since, including Fire TV. This version includes three game modes (Marathon, Spring, and Ultra), a global leaderboard, Amazon GameCircle achievements, and your choice of music and themes (including the Gameboy skin, a personal favorite). It’s simple enough to play with the Amazon Fire TV Remote (although it supports controllers too), yet fun enough to play for days on end. Original story expands on the Star Wars lore. Play for the light side or the dark side. Cutscenes look rough by today's standards. Occasional frame rate issues interrupt action. KOTOR is easily the most expansive game available for Fire TV. It’s an exact replica of BioWare’s Xbox version and will take up 2.1GB of space. Those willing to weather the massive download will be treated to an epic Star Wars adventure, spanning eight iconic planets like Tatooine and Kashyyyk. Build your party and customize your lightsaber and Force powers to choose between the light and dark side four thousand years before the Galactic Empire takes over. Gorgeous levels entice you to keep playing. Takes trial and error to overcome some challenges. Nintendo is notoriously slow to release its amazing archive of games on Android platforms. Thankfully, indie developer Frogmind Games created Bandland, which easily rivals the best of Mario. It’s an atmospheric side-scrolling adventure game with single-player, versus, and co-op modes. It even has a level editor so you can create your own levels to share with the community. Best of all–it’s free. Badland is easily the best Amazon Fire TV game on the market.